Genscape is the leading global provider of real-time data and intelligence for commodity and energy markets. Genscape is the leading global provider of real-time data and intelligence for commodity and energy markets. The company’s mission is to improve market transparency and efficiency, and it delivers innovative solutions across a number of asset classes including Oil, Power, Natural Gas and LNG (natural and liquefied natural gas), Agriculture, Petrochemical and NGLs, Maritime, and Renewables. Market fundamentals are measured using thousands of patented and proprietary land, sea, and satellite monitors that are strategically deployed worldwide, providing exceptional insight and intelligence to clients. Using Genscape's patented analytics, the Equity Production Insight DataFeed provides the daily production estimates of Energy and Power companies for their respective regions, as well as the tailgate processing plant volume or throughput volumes for midstream companies. 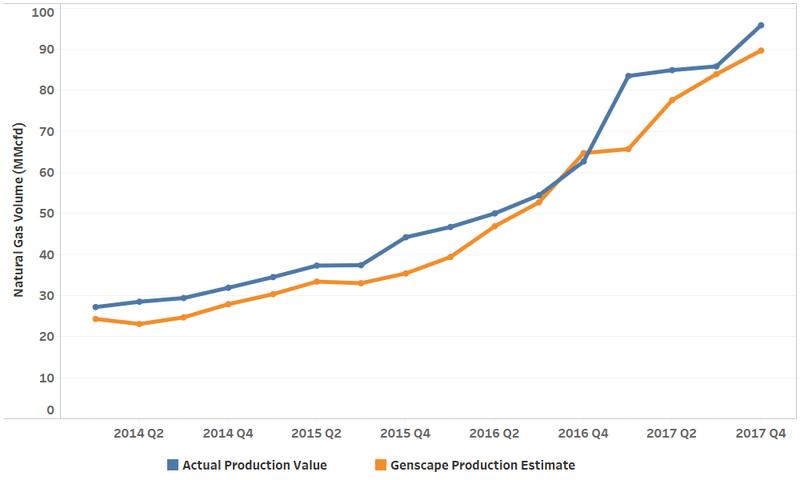 The Genscape-modeled production estimates are tuned to have a strong correlation to the actual company-reported net production numbers, with each subsequent quarter being out of sample. Genscape has demonstrated a <5% error rate in forecasting production since 2013, providing confidence and actionable insights to clients. Its Equity Production Insight DataFeed is the only product that can provide this data, using Genscape's proprietary oil pipeline and rail terminal monitoring to track operator-level oil production in the Bakken. Genscape’s unique data provides a method to accurately forecast changes in oil and gas production levels, delivering insight to clients before official quarterly report. Figure 3 shows this scenario for Oasis Petroleum, highlighting the accuracy of Genscape’s production estimates. This figure shows a very low error rate in production forecasting for Oasis Petroleum. 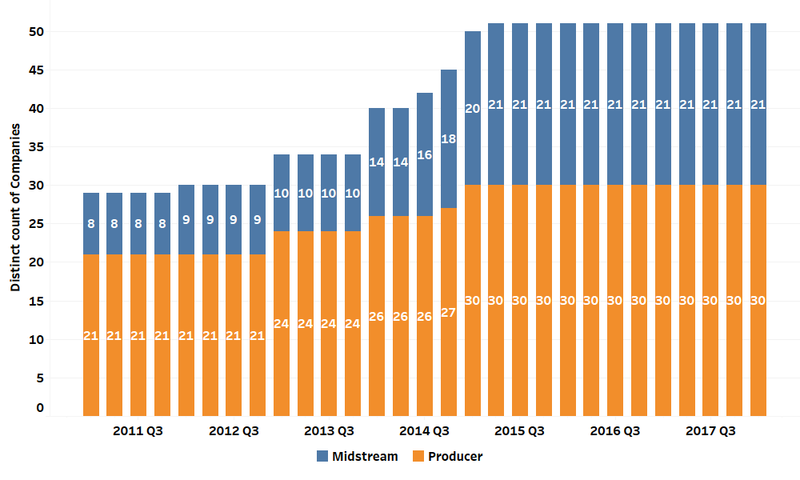 Figure 4 highlights a more specific scenario for Oasis Petroleum in 2016 Q3. 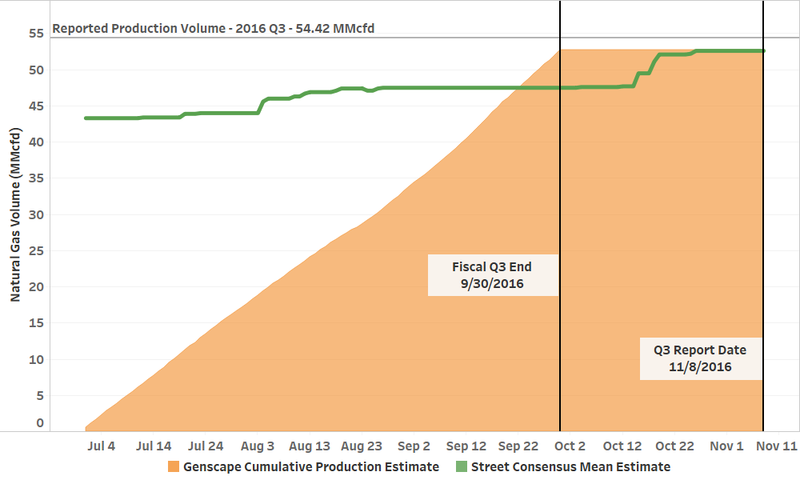 You can see the cumulative daily production estimates from Genscape hit a final value of 52.69 at the quarter end date of September 30, 2016. Due to Genscape’s forecasting accuracy, users of this data gain insight into final production capacity weeks before the quarterly report date of November 8, 2016. Users can also compare and complement this data to the production consensus delivered by FactSet Estimates, providing additional opportunities to find value. With production closely tied to a company’s revenue, portfolio managers can benefit from these production estimates weeks in advance of a company’s earnings being released. This is even more critical to understand when companies have a large percentage of their revenues tied to a specific region/industry combination. 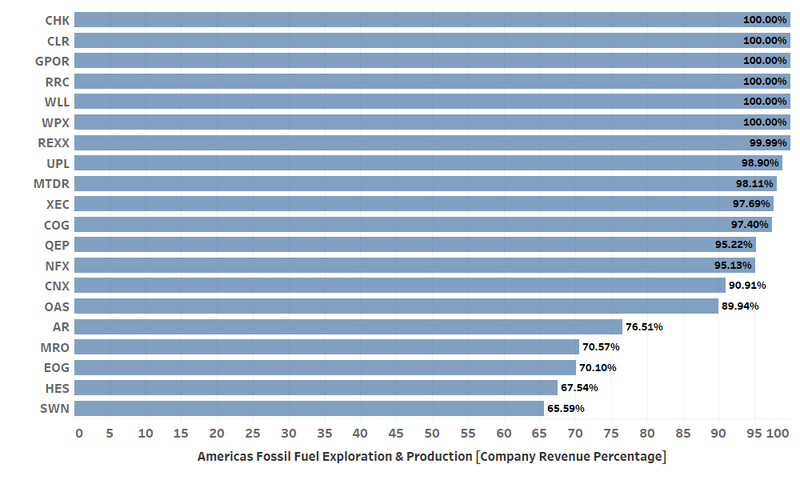 Figure 5 illustrates this by highlighting the top 20 companies with revenues linked to Americas Fossil Fuel Exploration & Production category, as defined by the FactSet RBICS with Revenue DataFeed. 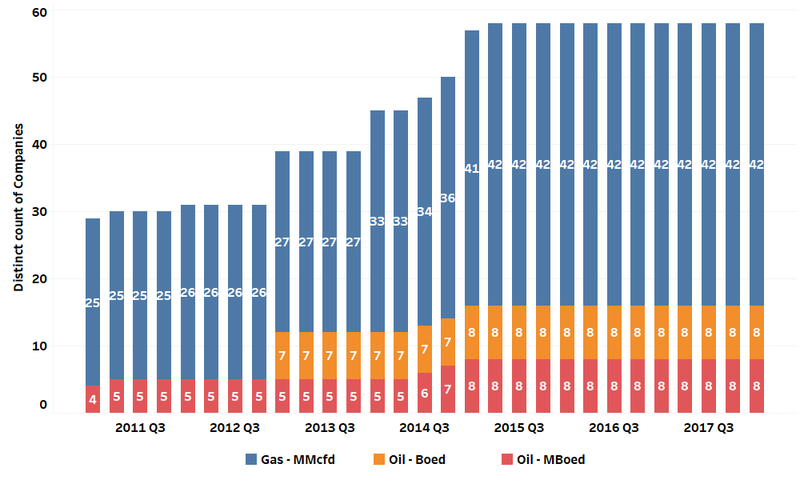 Oasis Petroleum specifically derives over 89% of its revenue from this category, further highlighting the importance of understanding its production capacity. Whether you are interested in potential production shifts or doing historical analysis, Genscape’s Equity Production Insight DataFeed will help you monitor trends and estimate quarterly production. For more information on Genscape’s data, including case studies, white papers, and additional research, please visit their provider page on the Open:FactSet Marketplace. If you have any questions please contact us at OFSupport@factset.com. Please visit the product page on the Open:FactSet Marketplace for more information: Genscape's Equity Production Insights.